Fan girl mode on for Ilocos Norte Governor Imee Marcos! The politiko was among the thousands of fans who watched Guns N’ Roses play its famous songs in Manila on November 11. 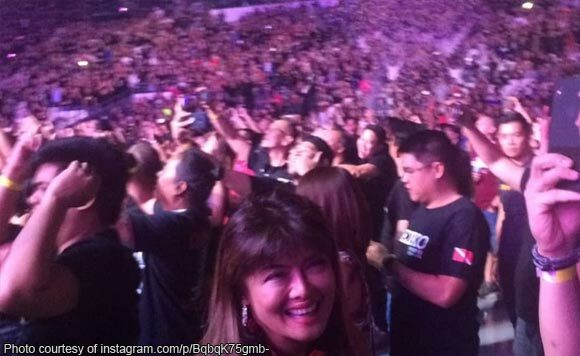 Marcos posted several selfies taken inside the Philippine Arena as her favorite band played on. “Ohhh ohhh sweet child of mine. Of course I can’t miss the Guns N’ Roses Not in This Lifetime Tour at the Philippine Arena! #GunsNRoses,” she said.